Join the Charlotte Running Club as we "promote our passion for running" with the Charlotte Independence Soccer Team! 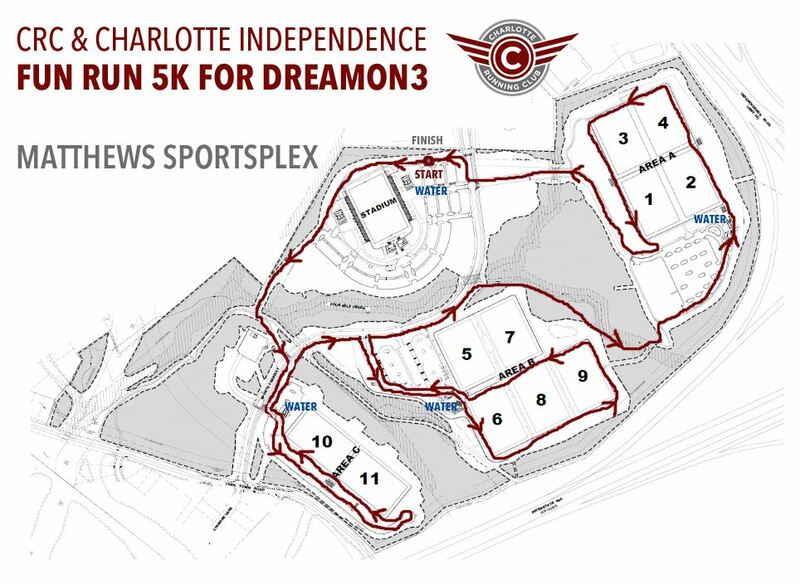 We will host a community Fun Run 5k prior to the September 16th Charlotte Independence Soccer match vs. the Ottawa Fury. 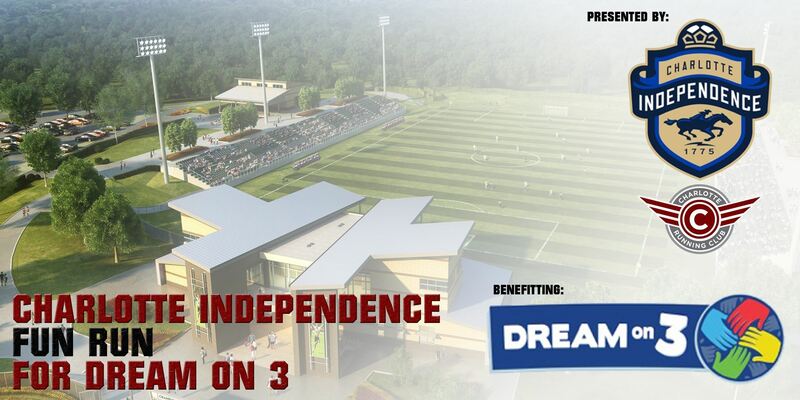 Participation in the Fun Run will provide you with a discounted ticket to the soccer match and more importantly help raise money for Dream On 3. 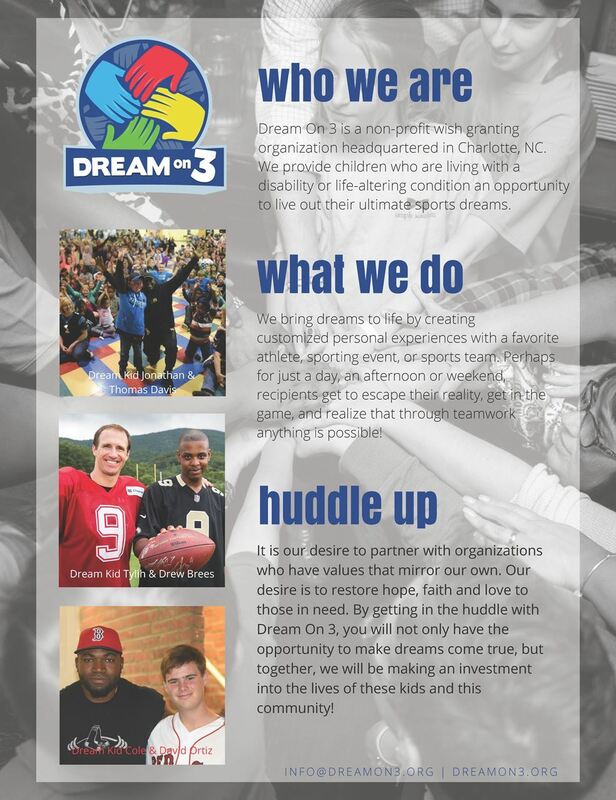 $4.00 from every ticket goes back to Dream on 3! Game ticket is required for entry to the game for all ages except small children that are able to sit on a guardian's lap (typically 3 and under). Parking will be FREE at the Sportsplex for the FUN RUN. After the run take a FREE ride on the Matthews Trolley to Downtown Matthews to enjoy one of the many great restaurants before the game. The trolley will begin around 5:00pm and will continue up until game time. The Matthews Trolley will also operate after the game back to Downtown Matthews.